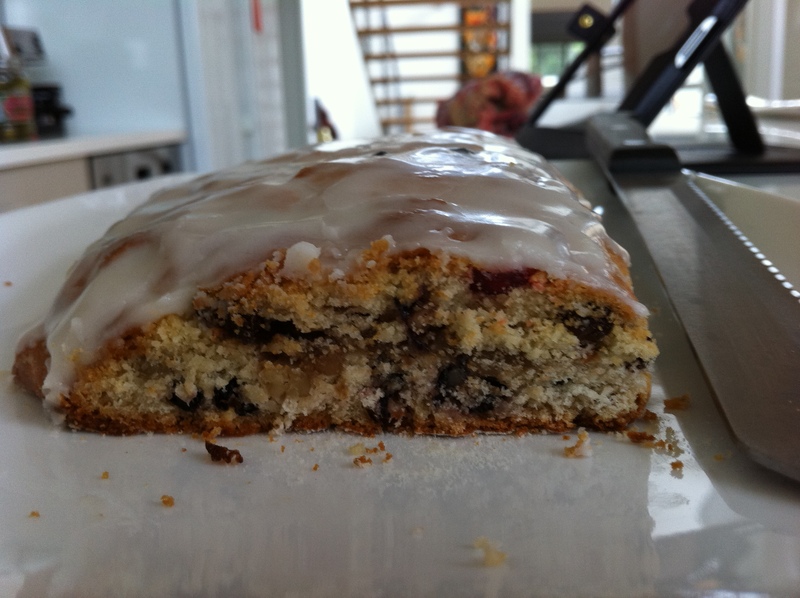 At Christmas time I always look forward to my Mum’s baking including rum balls, Christmas cake and especially stollen. However since being gluten free I don’t get to indulge in these treats anymore. This year, though, I decided to make gluten free options of everything. 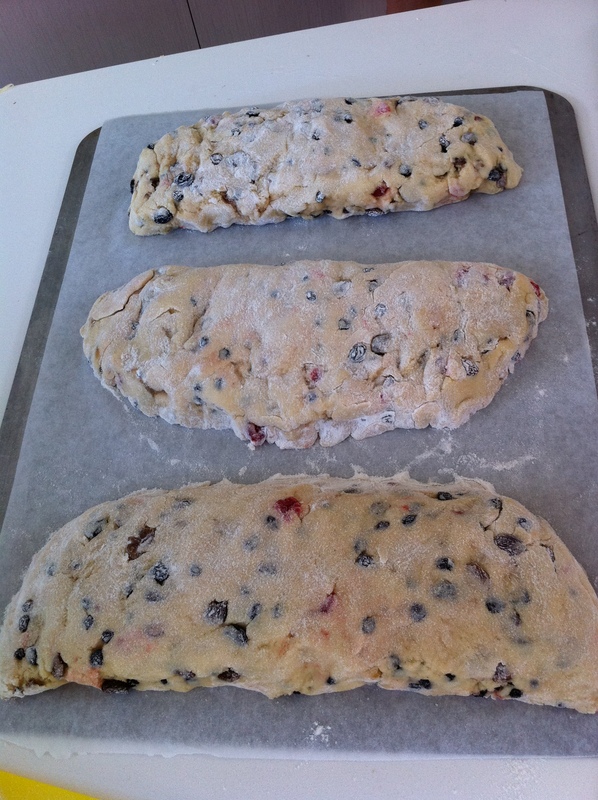 I wasn’t going to make stollen as I was a little concerned about the large amount of flour and it therefore not working out, however because I love it so much I decided to give it a go. 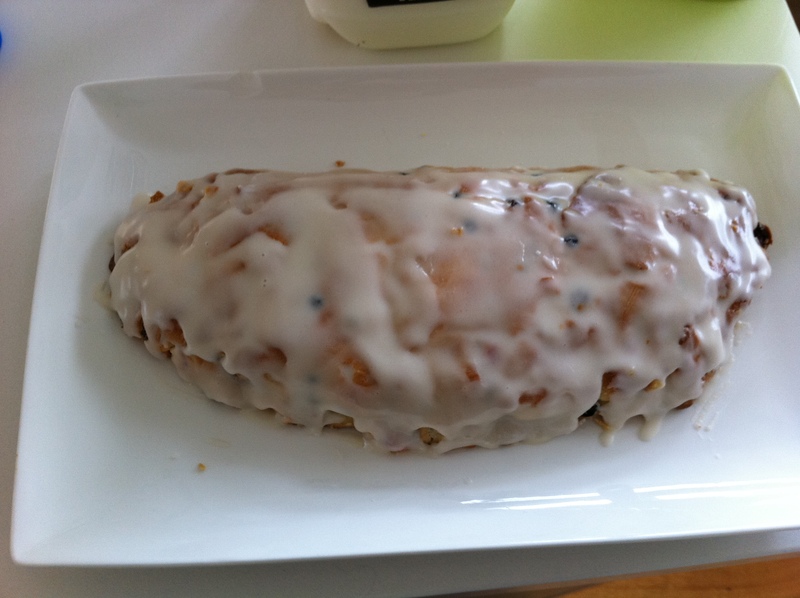 My Mum has had her Southern Stollen recipe for years (it is taped together in a couple of places and has that old newspaper look to it) and the reason I love it is that it uses a walnut paste for the filling rather than marzipan (the walnut filling is amazing, you have to be careful not to eat it all!). Half way through I was becoming more and more concerned that the stollen was going to be a disaster as the mixture did not rise nearly as much as Mums glutenous one did, however it worked out well in the end and tastes just as good as the glutenous one (Mum even said so!). What do you miss most since going gluten free? Dissolve yeast in a cup of lukewarm milk. Add butter, sugar and eggs and beat well (don’t worry if it curdles as when you add the flour it’ll come right). Tip into a large bowl containing flour and 1tsp salt. Mix for three to four minutes and then knead on a lightly floured board until smooth. Rise in a greased bowl until doubled (don’t worry if the mixture does not rise very much – just leave it for 1-2 hours and then move onto the next step). Add currants, sultanas, chopped cherries and chopped walnuts. Knead well to mix in fruit. Divide mix into three and roll each piece into an oval shape about an inch thick. Make a walnut paste by mashing walnuts with brown sugar and an egg. 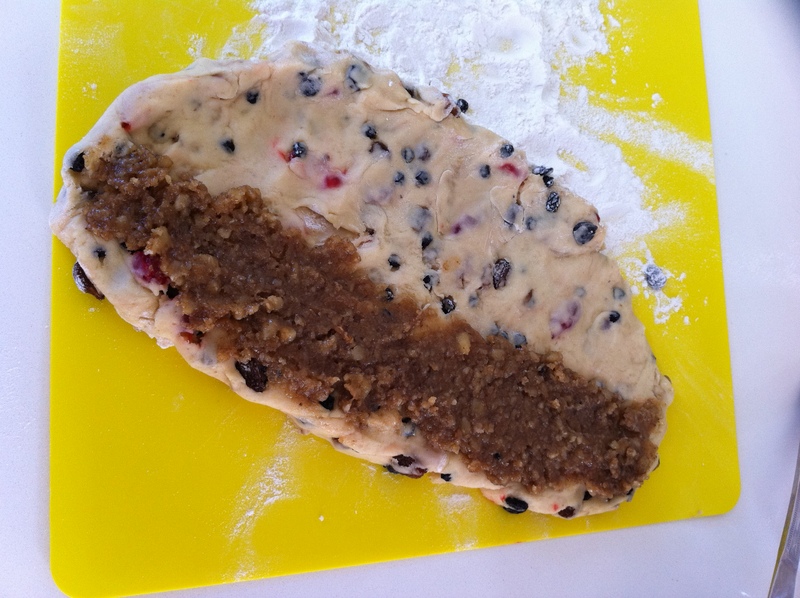 Divide this mixture over each oval, then fold each lengthwise, sealing edges well. Place on a greased tray, brush with melted butter and cook at 190 degrees celcius for 30-35 minutes.